Gallbladder pain caused by an inability of the gallbladder to eject its bile adequately in response to normal hormonal signals. In some studies, biliary dyskinesia is the most frequent indication for cholecystectomy in children (Vegunta, (2005)). Cholecystokinin (CCK) Scintigraphy Hydroxy iminodiacetic acid (HIDA) scan is used to establish a diagnosis of biliary dyskinesia. In this commonly available study, an intravenous infusion of radioactive marker is given. A nuclear imaging camera obtains pictures 1 minute after infusion, and then every 5 minutes for 1 hour or until the gallbladder fills. Once the gallbladder fills, synthetic active CCK is administered over three minutes and postinfusion images then obtained every minute for additional 30 minutes. CCK is the hormone that normally tells the gallbladder to contract and empty its bile into the intestine. Results of a HIDA may be affected by medications such as opiates, nitrates, and calcium channel blockers, duration of fasting prior to study and the dose of CCK. How reliable is the HIDA scan? Retrospective review of 100 HIDA scans showed reproducible normal and low EFs. Once low, EF does not recover but continues to decrease in chronic acalculous cholecystitis in parallel with duration of symptoms. Does cholecystectomy cure the symptoms of biliary dyskinesia in adults? Does cholecystectomy cure the symptoms of biliary dyskinesia in children? Study 1: Vegunta et al. (2005). 107 patients, collected over 5 year period. Mean age 10.8 years. More females that males (ratio 3:2) Ejection of < 35% used as cutoff. At 2 week postoperative visit, 57% of Biliary Dyskinesia patients and 89% of gallstone group had complete resolution of symptoms (p=0.02). Study 2: Cholecystectomy for suspected biliary dyskinesia in children with chronic abdominal pain. Gollin et al. J Pediatr Surg. 1999 May;34(5):854-7. 29 children (19 girls, 10 boys, mean age 13.5 yrs) Diagnosis based on: history of abdominal pain, Â± nausea (62%) fatty food intolerance (45%), Ultrasound negative for gallstones, CCK-stimulated gallbladder EF <40% at 30 minutes. Most patients underwent an extensive pre-operative workup: Ultrasound (100%), CCK HIDA(100%), upper GI contrast exam (36%), EGD (68%), barium enema (4%), abd CT (8%), breath hydrogen (11%), food allergen (11%). Duration of symptoms 2 weeks to 5 years. Patient follow up 1 month to 2 years. Results: Complete relief of symptoms in 79%. Persistent pain in 21% (decreased in 3). Delayed emptying in response to CCK predicts a good to cholecystectomy (79% with resolution of symptoms). Unfortunately, even retrospectively the authors were unable to define any factors in presentation or diagnostic evaluation that distinguished the children who have persistent symptoms after cholecystectomy. Study 4: A comparison of cholesystectomy and observation in children with biliary dyskinesia. Nelson et al. J Pediatr Surg. 2006 Nov;41(11):1894-8. Retrospective chart review of 55 patients with abnormal EF (<35%). Mean age 13.6 yrs, 45 female. 38% general abdominal pain, 47% RUQ pain, 40% with nausea/vomiting, 70% association with food. Follow-up: 1 month, 2 years. Operative group, 74% improved. Chronic cholecystitis was noted in 54% of removed gallbladders. In the nonoperative group, 75% improved. The problem with this study is that the patients were not assigned to surgery or no surgery. Most likely, the patients with milder or resolving symptoms decided to forgo surgery. If the diagnosis isn’t biliary dyskinesia, what is it? Unfortunately, for many children we never determine the exact diagnosis, even after an extensive workup with endoscopies, blood tests, and scans. For some,the pain is related to Sphinter of Oddi Dysfunction (SOD). There are several types of SOD, and treatment varies by type. The workup is done by a board-certified gastroenterologist. SOD testing in children is diffucult to find, and very few centers are able to perfrom sphincter of Oddi manometry. Ejection fraction is used to make a diagnosis of biliary dyskinesia; however there is discordance with ejection fraction findings and outcomes. 80% of patients will improve with cholecystectomy. Some patients will improve without surgery. Patients are at least twice as likely to resolve symptoms if they undergo cholecystectomy. The fact that patients may improve without cholecystectomy despite findings of abnormally low EF may imply that biliary dyskinesia is a transient state in some people, or another diagnosis my be causing the problem. The degree of pain and other symptoms, the certainty of the diagnosis, and the desires of the patient must factor into the decision for cholecystectomy. Patients whose symptoms are most typical of gallbladder type pain (biliary colic) are most likely to benefit. Campbell et al. Biliary dyskinesia: a potential unrecognized cause of abdominal pain in children. Pediatr Surg Int. 2004 Aug;20(8):579-81. Carney et al. Predictors of successful outcome after cholecystectomy for biliary dyskinesia. J Pediatr Surg. 2004 Jun;39(6):813-6; discussion 813-6. Colecchia et al. Is it possible to predict the clinical course of gallstone disease? Usefulness of gallbladder motility evaluation in a clinical setting. Am J Gastroenterol. 2006 Nov;101(11):2576-81. Finan et al. Improvement in gastrointestinal symptoms and quality of life after cholecystectomy. Am J Surg. 2006 Aug;192(2):196-202. Goncalves et al. Biliary Dyskinesia: Natural history and surgical results. Am Surg. 1998 Jun;64(6):493-7; discussion 497-8. Gollin et al. Cholecystectomy for suspected biliary dyskinesia in children with chronic abdominal pain. J Pediatr Surg. 1999 May;34(5):854-7. Krishnamurthy et al. Constancy and variability of gallbladder ejection fraction: Impact on diagnosis and therapy. J Nucl Med. 2004 Nov;45(11):1872-7. Krishnamurthy et al. Biliary Dyskinesia: Role of the Sphincter of Oddi, Gallbladder and Cholecystokinin. J Nucl Med. 1997; 38(11):1824-30. Kuribayashi et al. Usefulness of cholescintigraphy with lipid meal loading for diagnosis and determination of cholecystectomy in a patient with gallbladder dysfunction. Intern Med. 2004 May;43(5):393-6. Michail et al. 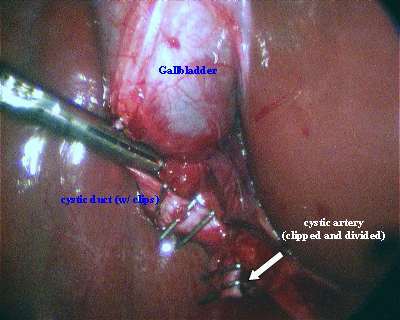 Laparoscopic cholecystectomy: Effective treatment for chronic abdominal pain in children with acalculus biliary pain. J Pediatr Surg. 2001 Sep;36(9):1394-6. Nelson et al. A comparison of cholesystectomy and observation in children with biliary dyskinesia. J Pediatr Surg. 2006 Nov;41(11):1894-8. Ponsky et al. Surgical therapy for biliary dyskinesia: a meta-analysis and review of the literature. J Laparoendosc Adv Surg Tech A. 2005 Oct;15(5):439-42. Rau et al. Gallbladder wall inflammatory cells in pediatric patients with biliary dyskinesia and cholelithiasis: a pilot study. J Pediatr Surg. 2006 Sep;41(9):1545-8. Szepes et al. Diagnosis of gallbladder dyskinesia by quantitative hepatogiliary scintigraphy. Clin Nucl Med. 2005 May;30(5):302-7. Vegunta et al. Biliary dyskinesia: The most common indication for cholecystectomy in children. Surgery. 2005 Oct;138(4):726-31; discussion 731-3. Vrochides et al. Is there a role for routine preoperative endoscopic retrograde cholangiopancreatography in suspected choledocholithiasis in children. Arch Surg. 2005 Apr;140(4):359-61.